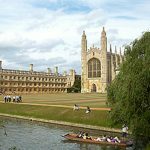 Cambridge Outdoor Club is the ideal venue for exploring the many beautiful and historic places of East Anglia. The coast swings round like half the circumference of a wheel so that to the north Hunstanton is 42 miles and to the east Yarmouth is 66 miles as the crow flies. Briefly starting in the east and moving round to the west, the following places are but a few to give some idea of the variation that this area offers to the visitor. 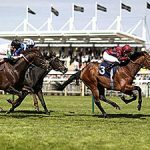 The home of British Horse Racing where more than 2500 horses are in training. Early each day many can be seen exercising on the gallops. There are conducted tours around many of the prime racing facilities and the home of the National Stud. A beautiful university town with outstanding architecture that incorporates the famous Kings College Chapel. A trip on the Cam by punt to view some of the colleges is a memorable experience. 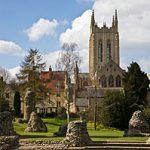 A lively market town with the ruins of one of the greatest Benedicitine Abbeys with the great Northern Gateway still intact. The cathedral and adjacent church are well worth visiting. An outstanding example of a medieval town with wood framed and white washed houses dating from the 15th Century. 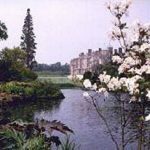 The country retreat of HM the Queen situated in 60 acres of parkland and gardens. There is a museum that includes vintage royal motor cars, carriages and coaches, restaurant and shop. The town has one of the finest Gothic cathedrals in the country with its famous octagon and lantern. 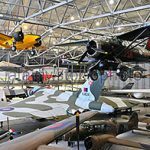 The Imperial War Museum of aircraft dating from the first world war to the present day and this includes the famous Concord. 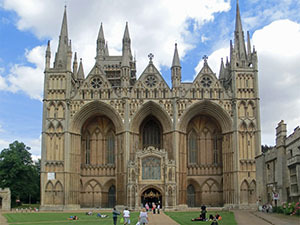 The town has one of the finest cathedrals in the country. Guided tours are available. 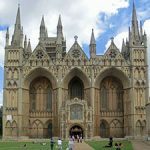 Peterborough also hosts the Queens Gate Centre the largest indoor shopping center in Cambridgeshire where you will find a whole range of shops cafe’s to suit everyone’s taste. 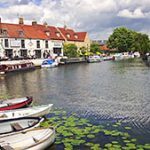 This vibrant market town sitting on the banks of the River Great Ouse. The pedestrianised centre holds an array of small independent shops as well as the nationally known brands with courts and lanes holding coffee shops and cafés that spill out under umbrellas during the summer giving the town a cosmopolitan feel. The modern buildings and shops stand alongside the medieval frontages. Oliver Cromwell was born in Huntingdon in 1599 and later attended the school which stands in the High Street just off the busy Market Square. It now holds the Cromwell Museum which is dedicated the life of Cromwell himself. The town was built by the Saxons in AD500 along the banks of the River Ouse. Originally known as ’Slepe’ it’s names was changed to honour a Persian bishop whose bones were discovered in a field to the East of the town. Now one of Huntingdonshire’s busy market towns with fairs and markets throughout the year. People come from miles around to visit the large markets that are held every bank holiday throughout the year. 2010 sees the 900th anniversary of the towns charter and celebration event are taking place throughout the year. Named after a Saxon monk St Neot, the town was granted market charter in 1130 and a market has been held in the market square every Thursday since that date. Although the square has now been refurbished there are still 100’s of listed buildings around the town itself. Riverside Park is set along the River Great Ouse and has beautiful walks which take you amongst huge weeping willows, fishing and boating lakes, picnic areas and cafes. 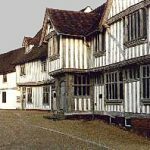 The old court holds the local museum and covers the story of St Neots along with local trade and crafts. Set on the edge of the fens the market town grew up around the Abbey which became one of the most important monastic buildings in England until the dissolution of the monasteries. The Abbey itself is now a school but the Gatehouse can still be seen. Nearby is the church of St Thomas a Beckett. Built in 1180 it is thought that it may originally have been built as an infirmary, hospital or even a guest house. Just outside the town, Ramsey Rural Museum has become one of Cambridgeshire’s most ‘hands on’ museums in the county and therefore also one of the County’s biggest attractions. There are the seaside resorts of Hunstanton , Wells Next the Sea, Cromer and Great Yarmouth with sandy beaches in easy motoring distance. East Anglia has a rich collection of country houses and estates open the the public and run by the National Trust and English Heritage, Near to Cambridge Outdoor is Anglesey Abbey renowned for its Landscaped garden and Arboretum, Wicken Fen – the very first National Trust property, Oxburgh Hall with its moated manor house, Kentwell Hall a moated Tudor house, Blicking Hall one of England’s finest Jacobean houses to name but a few. It is with out doubt an area with something for everybody and Cambridge Outdoor Club is the ideal base to explore it.